Nestled between seven neighbouring countries, along the shores of the Black Sea, Ukraine is an oasis of history and culture. Ukraine’s beauty and charm are paralleled with its mountainous scenery and beautiful beach resorts. Populated by over 45 million people, top attractions include the Mother-in-Law Bridge (Odessa), St. Sophia’s Cathedral (Kiev) and the historical Old Town of Lviv. Discover a wealth of history and nature because cheap flights to Ukraine are now available! The country’s hub airport is Boryspil International Airport (KBP), a 40-minute drive from the centre of Kiev. KBP serves a multitude of airlines, including Turkish Airlines, British Airways and Austrian Airlines. Popular connecting flights to Kiev depart from Johannesburg, Cape Town and Durban. Flight duration from Johannesburg is approximately 13 hours and 30 minutes. Ukraine’s historical wealth has left behind architectural masterpieces in the way of Byzantine churches, Baroque cathedrals and medieval castles and fortresses. 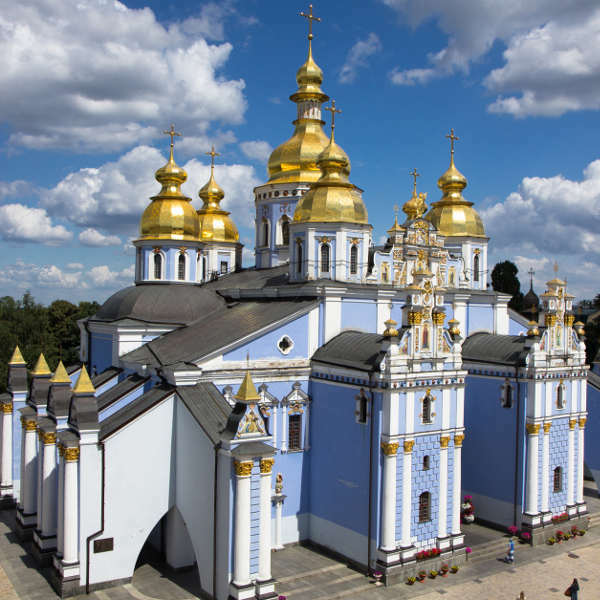 From ornate, golden-domed orthodox churches to crumbling castle ruins, explore Ukraine’s gems of antiquity. Spanning a vast history, including Soviet rule, the country itself is likened to a museum. Each city exudes its own unique character and historical significance, with monuments, museums and landmarks forming essential parts of the landscapes. The Carpathian Mountains are stunning in their elegant formations, vivid colours and diverse vegetation. Spend a day hiking through canyons, ravines and villages scattered throughout. 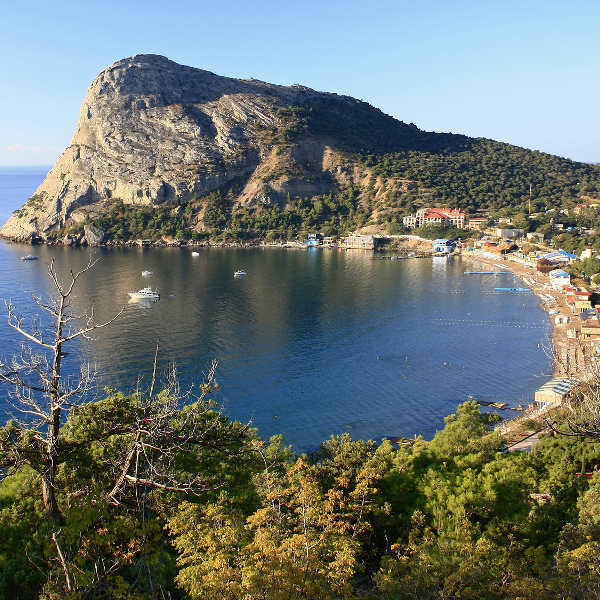 The Crimean Peninsula is equally bewitching with its buttermilk coastline fringed by azure waters. High season in Ukraine occurs in summer, between July and August, when locals flock to the coast for some beach frolicking. Accommodation rates escalate in the Crimean region, but drop in the colder Carpathians. Expect some thunderstorms, intense heat and humidity in various parts of the country. The shoulder seasons are the ideal times to visit to dodge the extreme summer and winter weather, as well as the crowds. Spring (May-June) sees Kiev in full bloom, while the Crimean coast is still pleasantly warm in autumn (September-October). Winter (November-April) brings severe cold and snow storms – perfect for a skiing adventure in the Carpathians – just be sure to book early for New Year and early January accommodation. If you plan on staying indoors and exploring the museums and castles, take advantage of low airfares and accommodation rates and see Ukraine in its winter wonderland. Ukraine is brimming with history, culture, architecture and incredible natural landscapes. It is the quintessential place for the most discerning traveller eager to discover its hidden treasures. Kiev is the eclectic capital city – a platform of deep-rooted history and varied architecture. Visit the Museum of Folk Architecture and Ethnography in Pyrohiv, an impressive open-air museum, along with gargoyle-style churches, including the UNESCO-acclaimed St. Sophia Cathedral. Lviv is considered to be the country’s cultural capital. Stroll through the cobbled streets of the UNESCO-protected Old Town and absorb the vibrant nightlife, cool restaurants and local pubs (knaipas) serving up traditional fare. Sofiyivsky Park is a must-see attraction as a prime example of 19th-century European garden design with picturesque waterfalls, statues and antique caves. Chernihiv is the heart of medieval architecture and landmarks. Make sure you try varenyky – delicious, traditional filled-dumplings. The budget-friendly student town of Kharkiv has a thriving nightlife and arts scene. Have a drink at Starik Hem – a cool, Hemingway-inspired bar. Discover the Austro-Hungarian architecture in Mukacheve, home to the famous Palanok Castle. This is a great starting point to explore the Carpathian Mountains, known as the “Green Pearl” of Ukraine. Hiking, cycling and horse riding are popular ways to traverse the alpine meadows, rivers, lakes and monuments. Nature-lovers will appreciate the cosy, old town charm of Kamianets-Podilskyi – home to majestic fortresses surrounded by a canyon and the Smotrych River. Catch the romantic festival of hot-air balloons in spring! Ukraine’s summer hotspot are its Crimean resorts, boasting sprawling beaches, mineral spas and trendy restaurants. The seaport city of Odessa is a historic district and its Black Sea beaches are sublime. 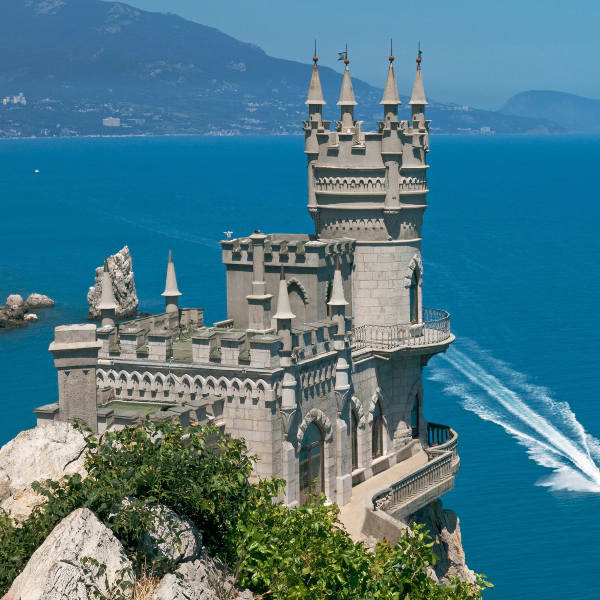 Anton Chekhov’s hometown seaside resort of Yalta invites visitors to its iconic Swallows Nest Castle, perched on a cliff overlooking the sparkling sea. Compare several airlines, and book your cheap flights to Ukraine today! South African passport holders will need a visa to enter the Ukraine. You can contact the Embassy of Ukraine in South Africa for more information. Despite its rather infamous reputation as a gangster’s paradise, Ukraine is a fairly safe destination if you remain vigilant and exercise regular safety precautions. Avoid being a victim of theft by not flashing valuables and dressing extravagantly. It is best to store money in a travel purse and be cautious around crowded areas. Do not walk around alone at night in secluded areas. Try to use cash as much as possible to avoid credit-card fraud. If you see a wallet or cash lying on the ground, just walk on by as this is often a ploy to scam people accused of ‘stealing’ this money. Drivers in Ukraine are not the most patient or considerate, so be on the lookout for reckless driving and hazardous road conditions (if driving yourself). Tourists need not be concerned about mafia-related violence – petty theft is the only real problem. Ukraine has fairly conservative views towards non-Europeans so avoid any potential confrontations. Visitors to Ukraine do not require any vaccinations; however, it is recommended to be up-to-date on all routine vaccines. Clinics offer very basic services and the healthcare system is generally under-resourced by western standards. It is advisable to bring basic supplies and any specialized medication you may require. Tap water is not safe to drink – bottled water is cheap and widely available.